Overall, 73 H3N2 positive submissions were detected in FY2011 (October 1, 2010 to September 30, 2011) and 138 in FY2012 from October 1, 2011 to July 31, 2012. 57 Of the 138 H3N2 cases identified in FY2012 and tested to date contain the pandemic M gene and were classified as H3N2pM. The above USDA update from the CDC website confirms that the bulk of the USDA data has already been made public at Genbank and the discordance between the human and swine sub-clades in circulation in FY2012 does not support swine to human transmission. As seen in the above numbers, as well as larger collections described at the CDC site, most swine influenza is not H3N2 and most H3N2 does not have the H1N1pdm09 M gene. However, of greater significance is the number of isolates (57) with H1N1pdm09 M gene in recent collections (FY2012). In this collection period the CDC has released 45 sets of sequences with the H1N1pdm09 M gene (which is heavily weighted with H3N2pM isolates). Thus, sequences from only 12 H3N2pM have not been made public, and these sequences are likely either non-matches or recent, and therefore of little significance in the analysis since the number of reported human cases exploded in July, and swine isolates from that time period may have been due to human to swine transmission. Although there are 45 H3N2pM sequences collected in FY2012, only 19 of these sequences have HA and NA sequences that match the human cases from 2011/2012 and only 2 of the 19 match the 2012 human cases (see list below). Thus, the widespread H3N2v in swine cited by the CDC per USDA are largely matches with the human sub-clade from 2011 and none of the 2012 human cases match this sub-clade. In contrast, the 20 most recent human sequences, which were all collected in FY2012, match the 2 cases with N2 from a swine H3N2 lineage. This discordance is even more dramatic for the most recent isolates from Indiana and Ohio. Since March 2012 there have been 9 swine isolates and 8 of the 9 match the sub-clade in last year’s human cases. Moreover 8 of these 9 collections were from Indiana or Ohio. Thus, of the 8 most recent isolates from Indiana and Ohio, only one matches the human 2012 cases, while the seven that match the 2011 cases, but have not produced any reported human cases in 2012. Therefore, the CDC claim of USDA support for swine to human transmission is refuted by the public data, which represents the key data generated by the USDA. The only real support for the CDC position is their heavily biased sample collection which creates a link with swine because testing is largely limited to samples collected from patients with swine exposure. 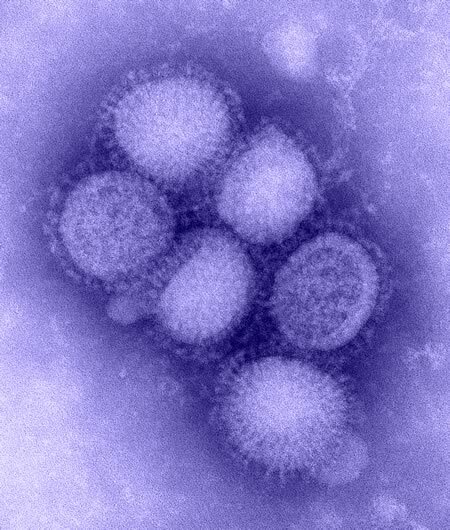 The above comments from the CDC H3N2v August 10, 2012 update for physicians are false. The H3N2v that has increased in humans since July 2012 has not been circulating in many states and data supporting wide circulation is clearly lacking. The July 2012 H3N2v sequences from cases matches the earlier sequences from Utah in March, as well as the West Virginia cases in November and December, 2011. The H3N2v detected in many states has not been reported in a human since November, 2011. The CDC claims represent pseudoscience and raise serious concerns about the CDC’s abiity to analyze its own data. Moreover, false statements, such as those in the physician’s update are accepted as evidence that the latest H3N2v cases are due to H3N2 jumping from swine to humans, even though the swine distribution supports the jumping of H3N2v from humans to swine. The H3N2v detected in the initial human cases has not been identified in any swine isolate collected prior to the first human case in July 2011. A recent Journal of Virology paper, “The evolution of novel reassortant A/H3N2v influenza virus in North American swine and humans, 2009-2011”, described 674 MP sequences from swine collections from 2009-2010, as well as 388 HA and NA sequences from these isolates. The extensive survey of USDA public sequences as well as a large series generated by the authors of the paper, identified one match with the H3N2v identified in the first 10 human cases in 2011. This isolate, A/swine/NY/A01104005/2011, was from a September 17, 2011 and was initially noted in November, 2011. More recently released sequences identified additional matches. However, the earliest matches, A/swine/Iowa/A01202529/2011 and A/swine/Iowa/A01202530/2011, were collected on August 22, 2011 which followed the first human case, A/Indiana/08/2011, which was from July, 2011. Thus, the extensive USDA surveillance failed to identify any examples of the matching H3N2v in swine prior to the first human case. Subsequent sequences identified a total of 24 swine isolates from 6 states (Illinois, Indiana, Iowa, New York, Ohio, and Texas) which matched (based on HA, NA, MP sequences) the H3N2v from the first 10 human cases. However none of the 2012 human H3N2v cases, including the sequences from July collections from four outbreaks in three states (Hawaii, Indiana, Ohio), matched the constellation in the 24 swine isolates above (or the first 10 reported human cases in 2011). The July, 2012 H3N2v sequences matched a novel constellation (with an N2 from H3N2 swine), first identified in a large human cluster in at a West Virginia day care center, where the confirmed cases had no swine contact or exposure. This novel sub-clade has only been identified in two swine isolates from samples collected prior to the July, 2012 cases. These two isolates, A/swine/North Carolina/A01203272/2012 and A/swine/Indiana/A01203509/2012, were collected in 2012, well after the West Virginia cluster from November and December cases. The absence of any human 2012 cases which match the swine sequences described by the CDC cast serious doubt on the CDC position of swine H3N2 jumps to humans are a major cause of human cases, and instead supports the jump of human H3N2v into swine, leading to widespread detections in swine that follow novel constellations or sequences in humans. Thus, the false statements by the CDC to physicians and the media continues to raise pandemic concerns and highlights the need for an independent investigation into the ability of the CDC to analyze its sequence data and convey those results to decision makers and the public.